Today we’d like to introduce you to Renee Ricca. From South Africa to Broadway, Renée has been a student of movement throughout her lifetime. She trained with Carola Trier for five years in New York City at the beginning of her career and later with legendary teachers, Kathy Grant and Ron Fletcher. Renée is a member of IDEA and is Certified in Gyrotonic® Level I and II. She is PMA Certified, Pilates by Core Dynamics/Romana. She is also Certified in Bodhi Suspension System, MOTR, and Buff Bones. Renée frequently updates her work with Pilates Legacy Program with Deborah Lesson in New York City. She has been teaching Comprehensive Teacher Training programs and workshops for the past 20 years. A graduate of Royal Ballet School in London, Renée also took classes in Drama, Mime, and Elocution at the Royal Academy of Dramatic Art, for which she was awarded an Honorary Member of the Imperial Teachers Society (ISTD). She has studied modern dance at the Martha Graham School in New York City, jazz movement and syncopation with famed instructor JoJo Smith, and loves to perform both the Hustle and Salsa in professional dance competitions. There are no smooth roads. However, you need to have the passion and drive, which is the most important. After that, you need 3 of these things: Luck, talent and the strength for rejection, you will then definitely reach your destination. Mastering your craft, never giving up and believing in yourself. My work has carried me through the worst adversities in my personal life as well as my professional life. 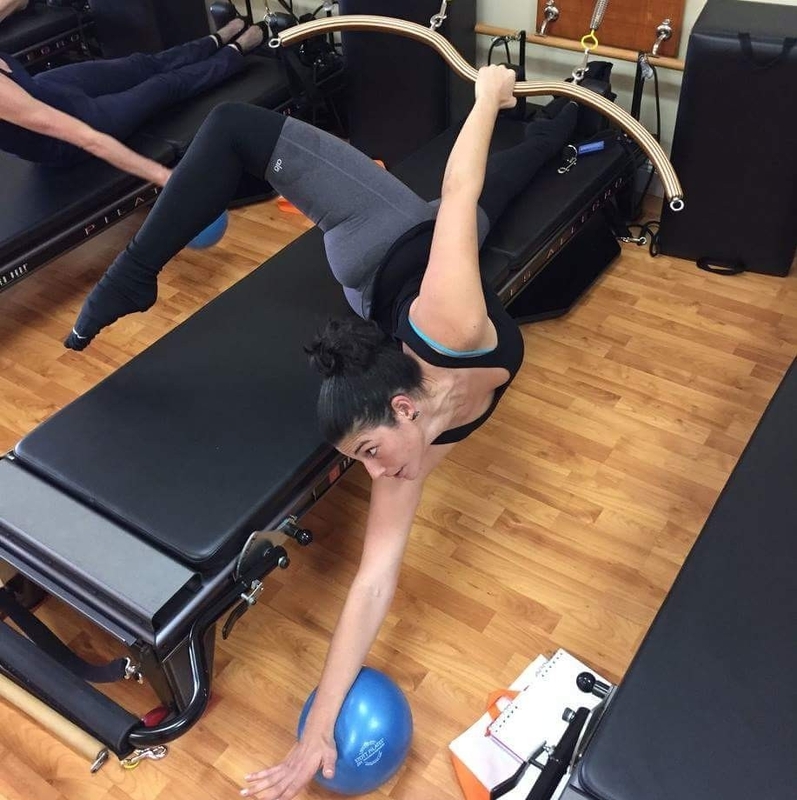 So let’s switch gears a bit and go into the Renee Ricca Pilates and Gyrotonic® Center story. Tell us more about the business. I have a Pilates and Gyrotonic® Center for the last 20 years in Miami. I was fortunate enough to be trained by the first generation of elders of Joseph Pilates for 5 years. My studio offers a comprehensive Pilates and Gyrotonic® training on all apparatus. I am known for always raising the bar in my studio. What sets me apart is that I’m authentic to the Method of Pilates and Gyrotonic®, I do not believe in fads and fusions. All our clients first need to have an evaluation of whether they will be in groups or private sessions. Prior to any session, as well as teaching them Universal Reformer setup and safety. All our Clients are educated in the methodology by myself and my team. Whether we are teaching contemporary or classical repertoires. Apart from the traditional Pilates, we have added the Bodhi Suspension System, MOTR, and Gyrokinesis®. We also specialize in Pre and Postnatal, and Post Rehab. What separates us in group environments is that each client is tactile, cued, and treated as if they were in a private session. All our classes are graded from basic to advance. We are also working with Parkinson’s and MS clients with great success. We have a comprehensive teacher training program and I’m proud to say that I have maintained clients for 20 years. Many clients who have left for a few years of absence return to the nest! My work has reached abroad and across the USA. I am now giving Master Class Workshops through the Pilates Method Alliance for Teachers seeking excellence in their approach to teaching Pilates group Classes. This year in October 2018, I am planning to open up Gyrotonic® Group Classes. I will be the first studio in North Miami conduct these classes for clients who find private sessions out of their budget. I am hoping that next 5 years the Pilates industry will really work on keeping the integrity and of the methodology and Principles. Not watering them down into fads. Historically, Pilates teachers are trained to work with clients privately and to adjust their approach to the needs of a particular individual. Now that the Pilates brand is becoming ever more popular with the public, from fitness buffs to seniors, group classes are in high demand. While group classes are more affordable, they present new challenges for the dedicated teacher at entry level. In order to retain the highest standards associated with Pilates methodology, teachers need to learn how to manage this changing environment, how to retain excellence and ensure the greatest benefit to students. What a great article about Renee! She is a fantastic Pilates instructor and her studio is beautiful and welcoming- it’s great to see her recognized in this way. Renee is very passionate and sincere about her work and helping her students succeed!! She is an inspiration to all!